Whilst I always look to the Veloce website for their latest offerings, rarely does a book grab my attention such as this one; a selfish reason in this case, as I am lucky enough to own a Mark 2. 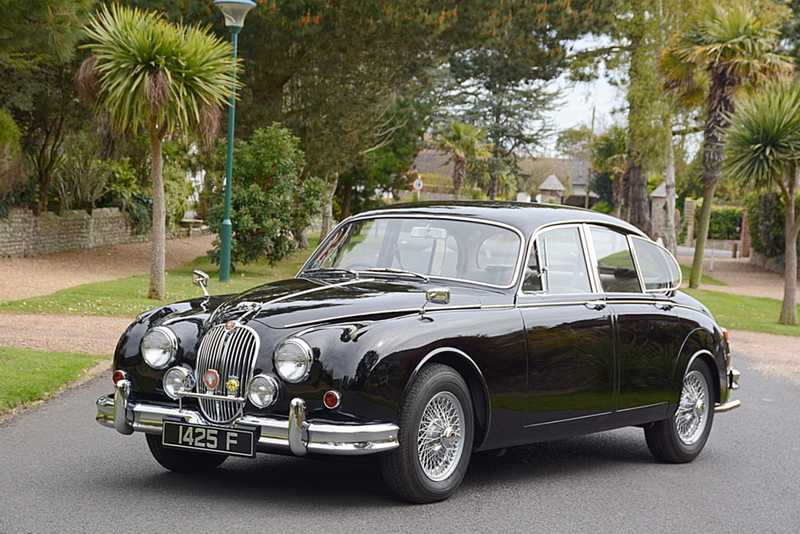 The author has most likely forgotten more about William Lyons creations than I will ever know, but with this particular Jaguar saloon I feel justified in offering an opinion. 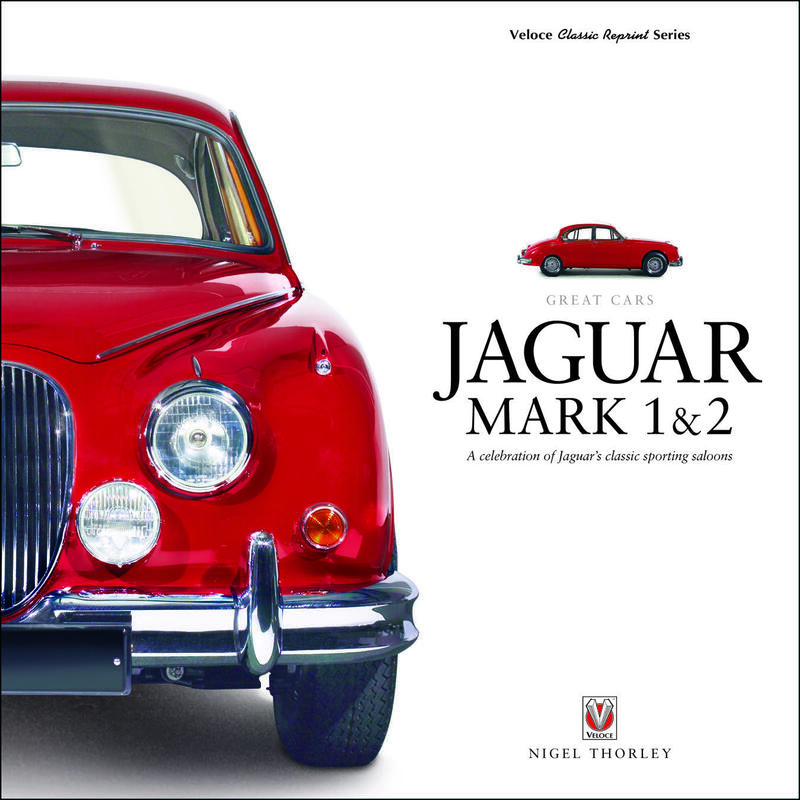 Nigel Thorley is a Director of the Jaguar Enthusiasts Club and an acknowledged historian of the marque; he has also owned 16 Mark 2’s. Originally released in 2005, the first thing the reader will notice is that this book is 248mm x 248mm square and not following the A4 format works well; by increasing page area the text and images appear less cramped improving the readers experience. The initial pages feature pre-production 2.4’s from the mid-50s and it is fascinating to see the designs alter until the shell finally met up with its running gear on the Browns Lane production line. At just £895 plus tax in 1955, the early 2.4 was a fine looking machine, uncluttered with minimal trimming and spats enclosing the rear wheels. Great detail accompanies the images from 1957 including the Browns Lane fire and arrival of the 3.4 litre version. Period advertising features heavily on the pages, this enhances the reader’s ability to travel back in time and appreciate Jaguars influence on car buyers of the day. The rear bumper of my Mark 2 features a brake warning symbol, advising drum braked vehicles that I enjoy discs all round and can stop much quicker than they would be able; their introduction in 1957 as an option is explained with costings. Dunlop’s braking system was certainly a worthy addition as the detailed spec of the 3.4 also shows it was a 9 second car to 60mph, not slow today, let alone prior to the swinging sixties. The Mark 2 hit the race track pretty much as it did Britain’s highways and its immediate success is well covered with a very dramatic image of Colin Chapman crossing the line at Silverstone; an equally great picture shows him driving his road version away from a Henlys dealership. Daimlers V8 version enjoys plenty of page space, the author pointing out the differences between the two models; many of which are obvious plus plenty that are less noticeable. The research undertaken to produce such detail must have taken years, I now know my Mark 2 enjoyed the later oil pressure gauge, updated during production; it also benefitted from the early seat belts marked with a leaping Jaguar on the buckle. 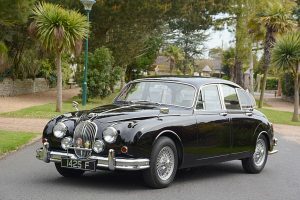 The differences between the earlier model and the Mark 2 may visually seem a case of multiple adjustments rather than the totally bespoke version that began leaving the showrooms in 1959. Nigel details the differences and explains the benefits the all new design brought to the brand and some of the improvements carried out over its decade in production. 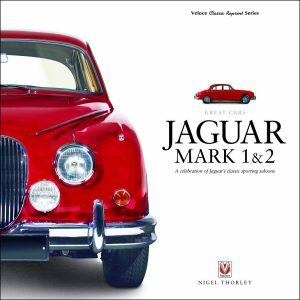 For those who are fortunate enough to be custodians of such a fine British saloon, the celebration of the Mark 1 & 2 is compulsory reading and fans of classic transport will find it a worthy addition to any library. Just like Jaguar’s saloon itself this book is beautifully produced, it is easy to absorb with a mix of superb in-period and studio images and adverts; one read I found very difficult to put down.